Bon Air Presbyterian Church – Seeking and Serving Christ to make a Difference! We seek to be a church where everyone – young or old, new believer or mature Christian, life-long Richmonder or new in town – feels at home. We come from all walks of life. We learn from one another and share with one another a variety of faith, social, and political perspectives. We treasure the rich diversity of our members and friends! We like to think of our church as a place where you can grow and serve: Grow in spiritually, grow with your family, grow in grace, grow and serve as we gather for worship and education, service and fellowship. Sunday, April 21, at 8:30 a.m. and 11:00 a.m.
Are you a visiting or a new resident? Coming to church for the first time may feel a bit intimidating if you are unfamiliar with worship. At Bon Air Presbyterian Church, we want you to know that most of us have had a “first Sunday” experience and we really want yours to be as warm and inviting as possible. We will do our best to help you feel welcome and experience the presence of our living and loving God. Come and join us on a journey of life in faith together. We pray, we sing, we listen to the word of God as it is spoken and sung by our choir and gifted soloists. Check out previous sermon texts and recordings which are available on this website. We celebrate the Lord’s Supper (communion) on the first Sunday of each month. We provide our youngest members with warm and nurturing care by staff and church members in our nursery during both worship hours as well as during the education hour. Children are an integral part of our church family and are welcomed participants in worship. We welcome requests for particular joys or concerns to be included in the Prayers of the People during worship. Please write your request on a Prayer Request Card and give it to an usher prior to the service. Each Sunday, education programs are offered to all ages. Are you a visitor or a new resident of our community? Our pastor would love to welcome you and answer any questions you may have about our church. Coffee with the Pastor is offered quarterly on Sunday mornings to anyone who is interested. However, individual conversations and meetings over coffee are encouraged and may be set up by contacting the church office. The above information and more is available in printable form. Click here to download your copy. April 18 at 7:15 p.m.
Join us as we gather in the Sanctuary at the Lord’s Table to commemorate the final meal that Jesus had with his friends. 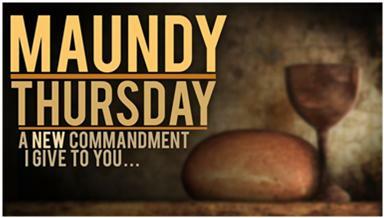 At that meal, Jesus gave the disciples his final instructions and commandment, “Love one another as I have loved you,” thus the name “Maundy” Thursday. On this night, we will follow Jesus from the table to the Garden of Gethsemane, join him in prayer, and witness his arrest. We will follow him to the Sanhedrin and the halls of Pilate. We will stand in the courtyard and hear Peter betray him as we ponder our own response to the events of night and the coming of the dawn and the crucifixion. Every day we are faced with choices in life: what we’re going to wear, what we’re going to eat, how we’re going to spend our free time, and so on. When we examine the story of Christ’s Passion, we discover that many of its participants were also faced with choices — choices, however, of much greater magnitude than the ones we make on a daily basis. 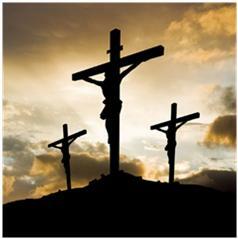 Join us on Good Friday as we explore some of those choices and ultimately to examine the most important choice of all — the choice that each one of us must make in response to Pilate’s question which he addressed to the crowd that day, namely, “What shall I do, then, with Jesus, who is called Christ?” May the Holy Spirit lead all who attend this service to respond in faith to the One who loved us enough to die for us. Click here to go to the Media page for more information, e.g. 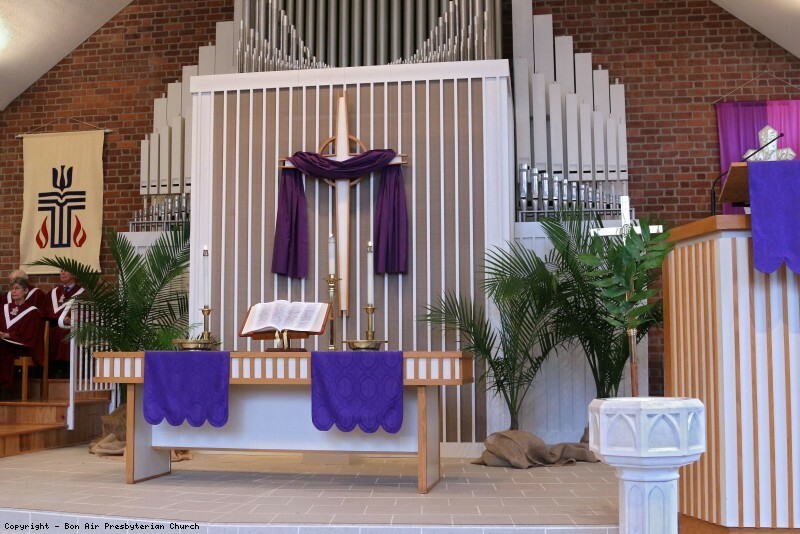 past Sermons, Church Service Bulletins, and our Outreach Monthly Newsletters in printable format. You can also listen to past Sermons.